Flexible, easy to use, just enough detail―and the number-one best selling rhetoric. 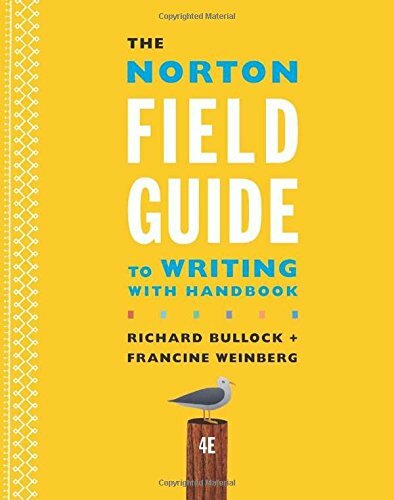 The Norton Field Guide to Writing’s flexibility and ease of use have made it the leading rhetoric text on the market―and a perfect choice for committees representing varying teaching styles. With just enough detail ― and color-coded links that send students to more detail if they need it ― this is the rhetoric that tells students what they need to know but resists the temptation to tell them everything there is to know. The Fourth Edition includes new chapters on summarizing and responding, on developing academic habits of mind, and on writing literary analysis.